Clé de Peau Beauté has released a gorgeous new powder foundation in their Radiant base makeup range; the Radiant Powder Foundation. The foundation comes in a refillable plastic case (SGD$45) in the brand's signature navy and gold, with the foundation refill ($130) and special Kumano brush ($35) sold separately. Like any powder from Shiseido's ultra-luxe brand, the Radiant Powder Foundation is extremely smooth and finely-milled to the touch. In terms of coverage, it's actually not as heavy and full as other powder foundations I've tried. And in terms of the finish, it's quite true to its name. Unlike other typical powders, Radiant Powder Foundation has special light-reflecting pigments that don't show up as a pearly or shimmery shine on the skin. Lots of brands promise that their powders will "bounce" light back off the skin, but not a lot actually manage to do it without using visible pearl pigments. I have to say up-front that this is one of the powders that actually manages to do it. Don't get me wrong. It's not that the foundation looks dewy. It just manages to even out the skin and look very luminous without any shine. And what I like most personally is the lack of that very powdery-matte, unnatural look that powder foundations typically give. This just goes on silky and smooth and velvety. Well aside from the high price, the main issue with the foundation is it's not the most long-lasting powder foundation around. 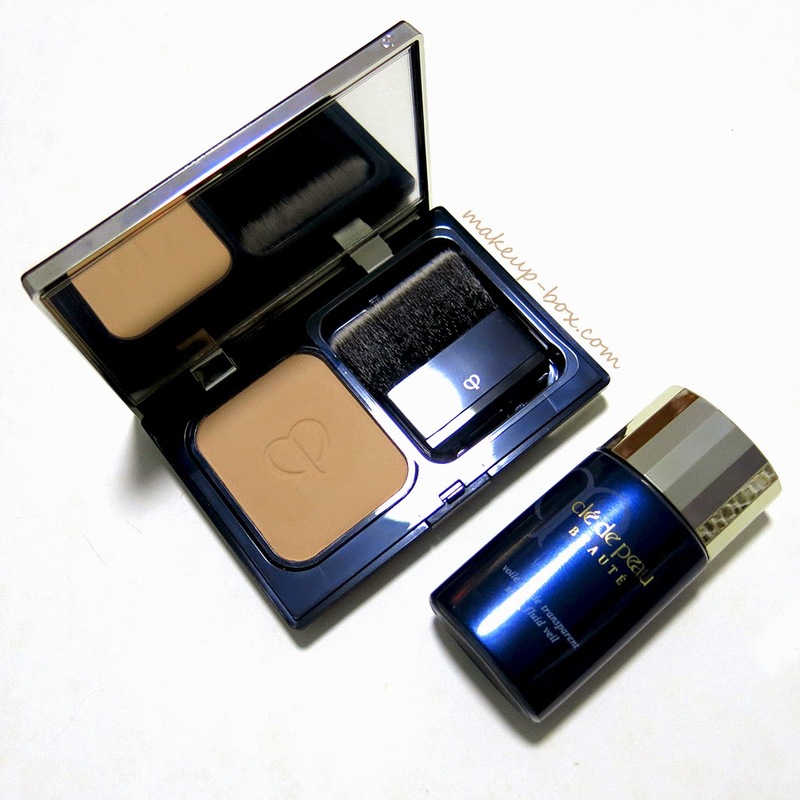 Clé de Peau recommends applying it over a primer like their Sheer Fluid Veil, but considering this is more a light-medium coverage powder foundation which has some hydrating and barrier protection properties, it is not designed to be a long-wear mattifying product. 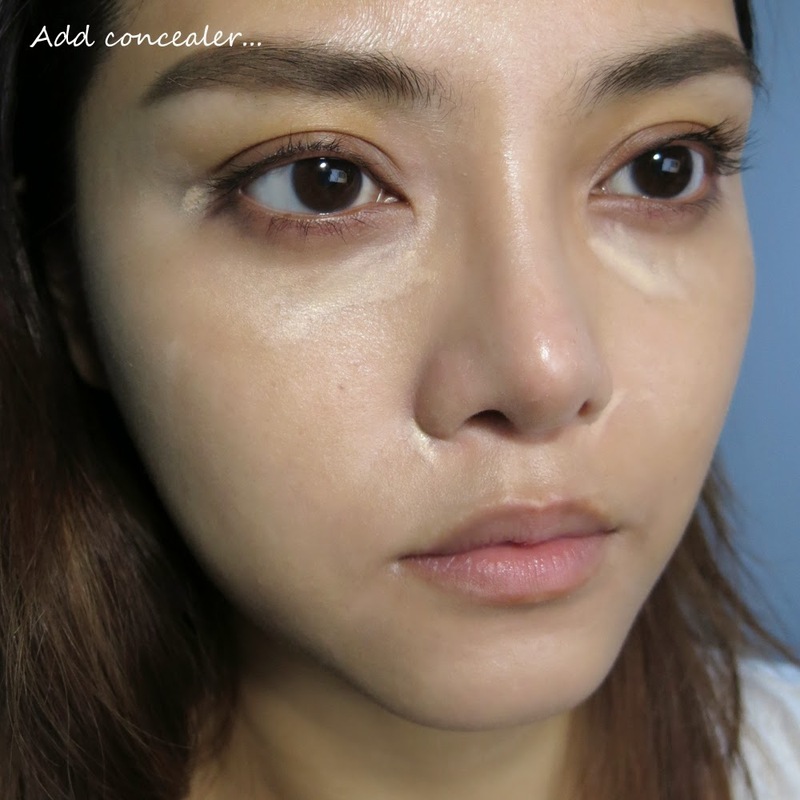 I prefer to use it more like a setting powder to add a bit more coverage to light bases or for special occasions where you are going to be in a temperature controlled environment for the most part, and want to look extra flawless. If you don't like a heavy coverage (i.e. powder foundation on top of foundation), then you can always apply a lighter base like a BB or tinted moisturizer as a base. This adds maybe 10-20% coverage, and then the powder adds 30-40% more, so you never end up with an overly heavy base. The coverage also lasts a lot longer. I haven't had any problems with it darkening over time on my skin, or grabbing and caking onto concealer or moisture on the skin. Which is another thing that really impressive for me. Many powders I've tried can cake on and change color over creamy concealers. This does not. It just goes on like a veil and covers evenly. All in all, I believe this is a better option for people with normal to dry, and maybe slightly combination skin. Or if you have mature skin and typical powders just emphasize fine lines or don't sit nicely on your skin anymore. If you want a heavy, full coverage, this is not the powder foundation for you. If you want a super-matte look, this is not the powder foundation for you. If you have very oily skin and need long-wear and oil-control, this is not the powder foundation for you. But if you like a little natural glow, or you want the convenience and portability of powder foundation without the powdery and matte finish, (and budget allows for this luxury) this is a great option. 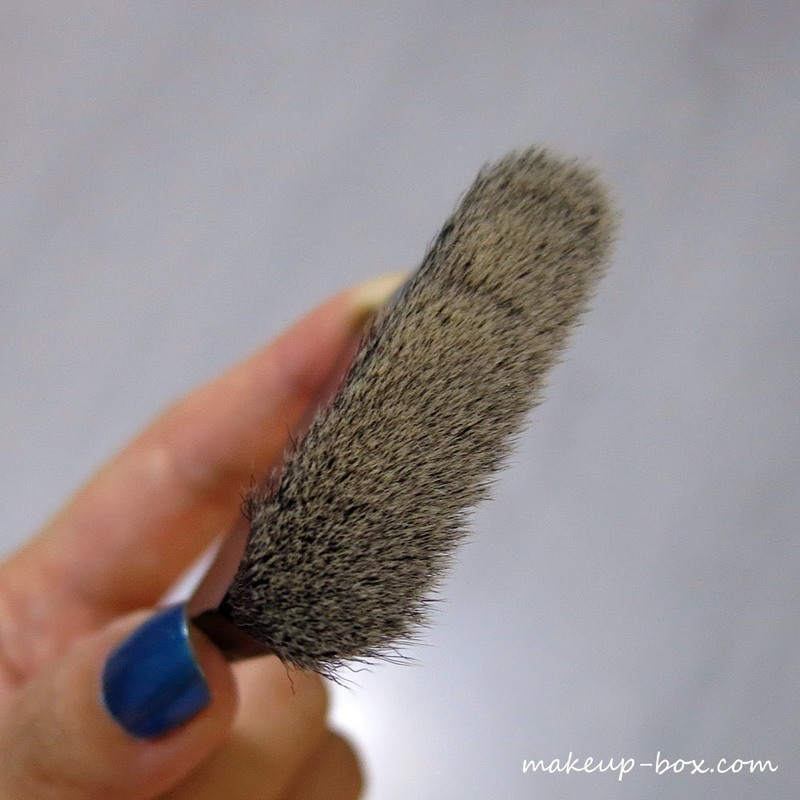 I don't usually reapply powder when I'm out because I generally don't like the look sponges and puffs give, so the fact this has a soft plush Kumano brush is great for me. But if you have a favorite puff and prefer it, then go right ahead. You don't HAVE to use this special brush although it does help to give a more diffused and natural look. If that helps reduce the upfront cost a bit and makes sense for you, skip it. This powder works fine with any other tool. Thanks!! Haha believe me it is not always well behaved. But this month instead of going oily around that time of month it's gone super dry. Which is easier to hide with skincare and makeup! Your complexion looks flawless wearing this. I'm not liking the price, but I am willing to give it a try if it's not drying. Dislike that heavy matte look! Thanks for review- it's great. Thanks for your information about the graph theory which will help me in my job. I have many doubts before read this but this time all is clear.